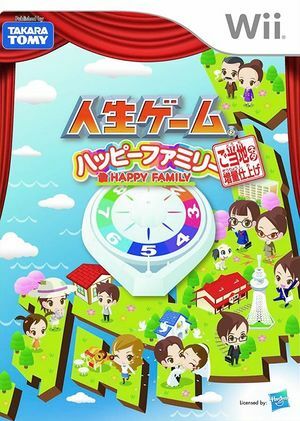 In Jinsei Game: Happy Family Gotouchi Neta Zouryou Shiage the next keywords are marriage, family and your area. It is fun and new. First loaded in the life game of the topic of local topics now. 47 Many funny and useful regional stories appeared for each prefecture. Life is person-price each. There should be a priceless happiness (happiness) that life can not change anything. Happiness also has a big impact on the game. Of course, the features of the past are equipped perfectly as well. When you get married and have children, your child also becomes a worker. It is also possible to hand over take over by your grandchildren and descendants. You can also earn feat achievement bonus for successive generations. In Okama Masu, events related to players other than yourself occurred. With the mass that involves other people, I can not get rid of myself if it is not my own turn. The graph below charts the compatibility with Jinsei Game: Happy Family Gotouchi Neta Zouryou Shiage since Dolphin's 2.0 release, listing revisions only where a compatibility change occurred. This page was last edited on 16 February 2018, at 07:59.